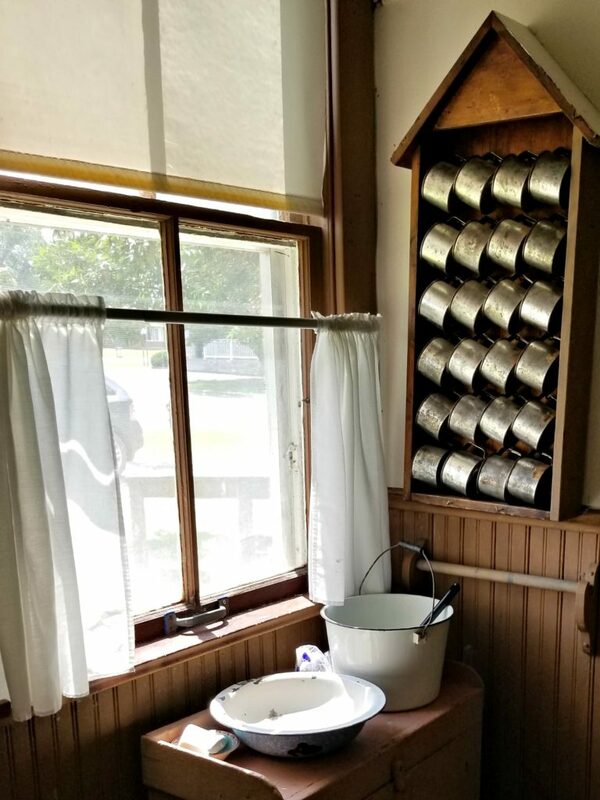 This last weekend, the girls and I took a short drive north of us and spent some time back in time. 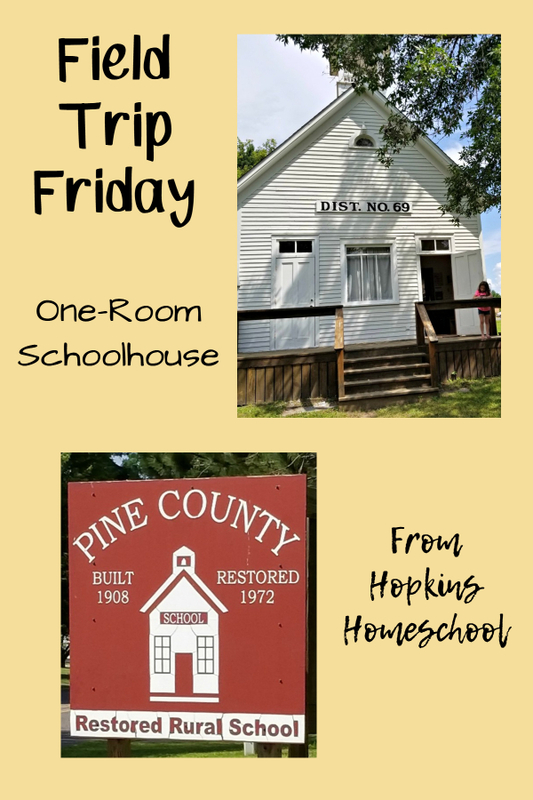 We went to The Pine County Rural School Museum. 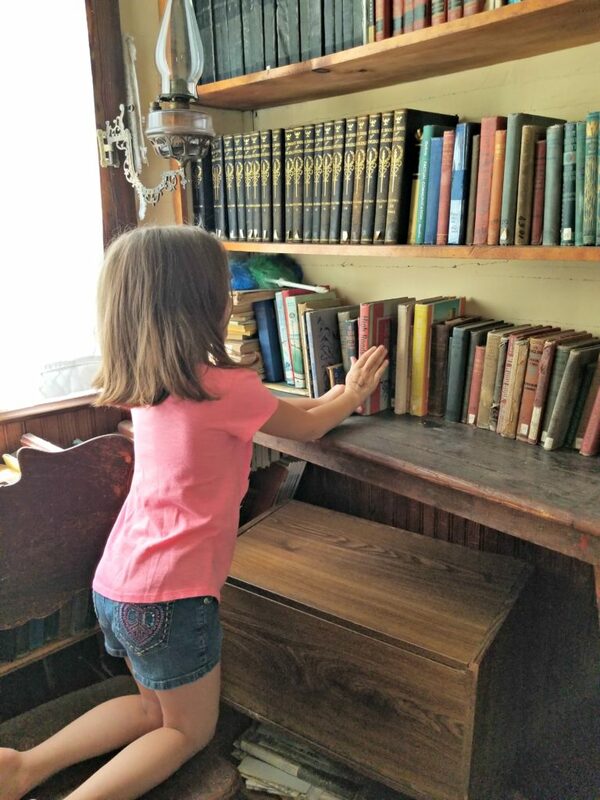 A One-Room Schoolhouse that has been restored and opened to the public. The Pine County Rural Schoolhouse is one of the few operating schoolhouses left in Minnesota. It was built in 1908 for a cost of $800. It was located on the east side of Pine City and Cross Lake. This schoolhouse was Dist. No 69, The Pine Tree School. This schoolhouse was part of the Pine County School District, which, at its peak had 125 districts. 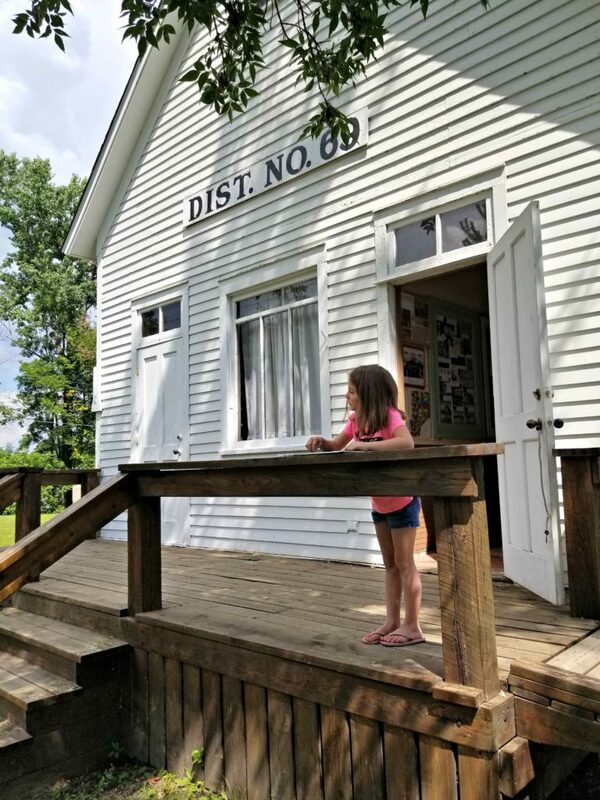 One-Room Schoolhouses started being used for new things after the mandatory dissolution act of 1967 that decreed any district that did not offer instruction through grade 12 had until July 1, 1970 to consolidate with a high school district. 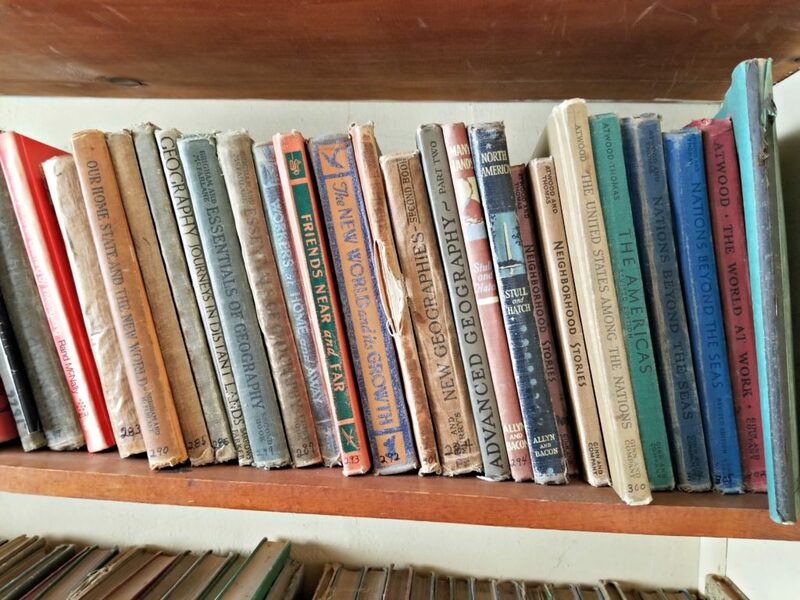 Throughout Minnesota, some of the schoolhouses have become town halls, community centers, remodeled into homes, preserved as museums, or wrecked for their lumber. 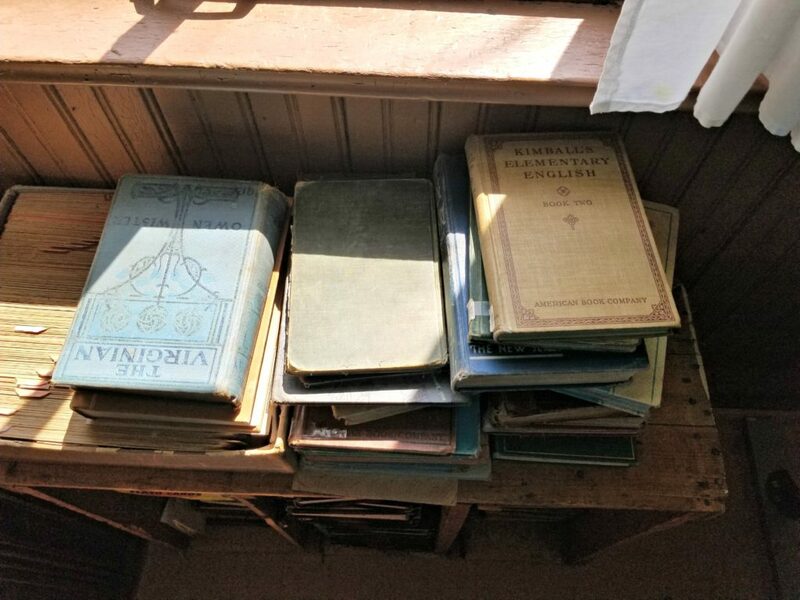 This was not the fate of this one-room schoolhouse, and we are thankful for that! 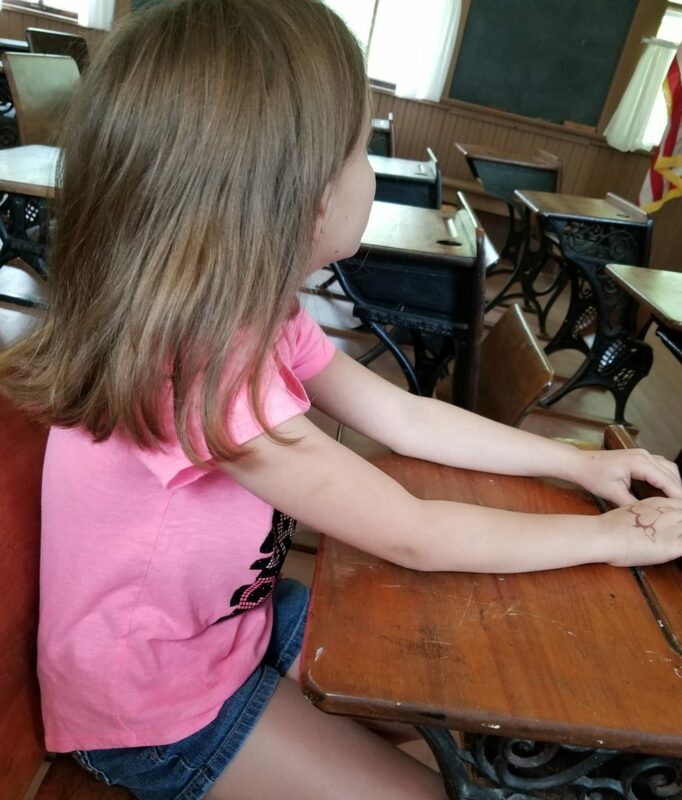 After closing their doors, this schoolhouse was moved into the city of Pine City and restored to be used as an operating one-room schoolhouse museum. However, that cost to move and restore the schoolhouse was a little more than what it cost to build it, $3,000! Dist. No 69 is a one-room schoolhouse that is still operating. Yes, still operating! How? Well, during the summer, they offer one-week sessions for those who are interested. All 8 grades are offered and the children who attend will study reading, writing, and ‘rithmetic from textbooks that date back to the 1890s! They have guest speakers that come in depending on the unit they are studying that summer, including a Voyageur from the nearby Northwest Fur Post! Everything from the “Pledge of Allegiance” to start the day to Pum-Pum-Pullaway during recess and lunch from a tin pail will make you feel as though you are right there in the schoolhouse when it was the only school. 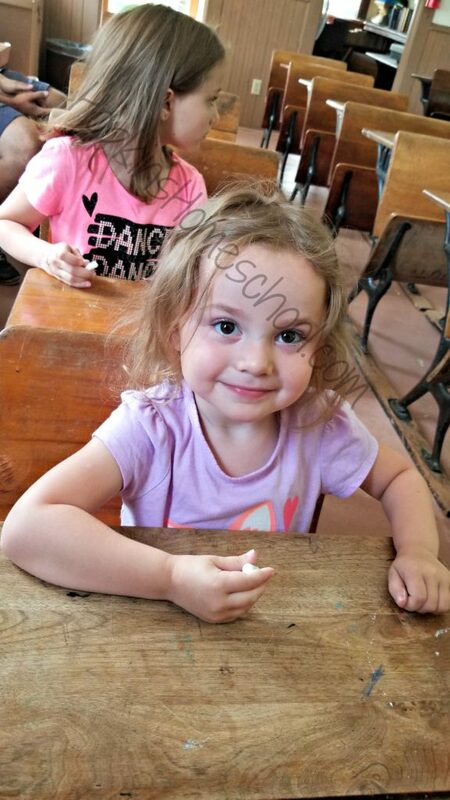 While we did not go during this week, the girls still got a first-hand experience of how the school would have been like. We were able to write on slates with chalk, check out the library (my favorite room! ), and listen to someone play the Star-Spangled Banner on a pump organ! The girls were even given the change to try to make that work! We had so much fun stepping back in time and look forward to signing up for the summer sessions next year! We plan on going again this weekend with Dad and Ray Ray joining us! 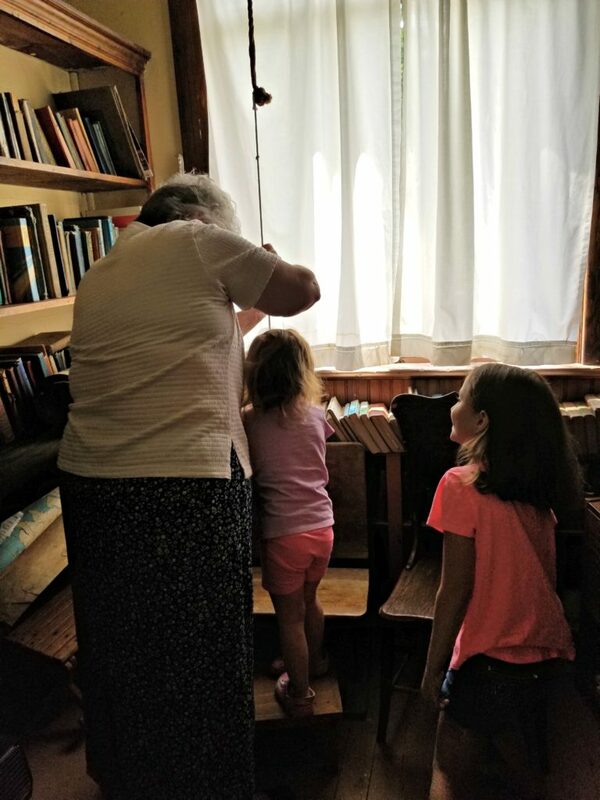 Have you been to a One-Room Schoolhouse? What was your favorite part? 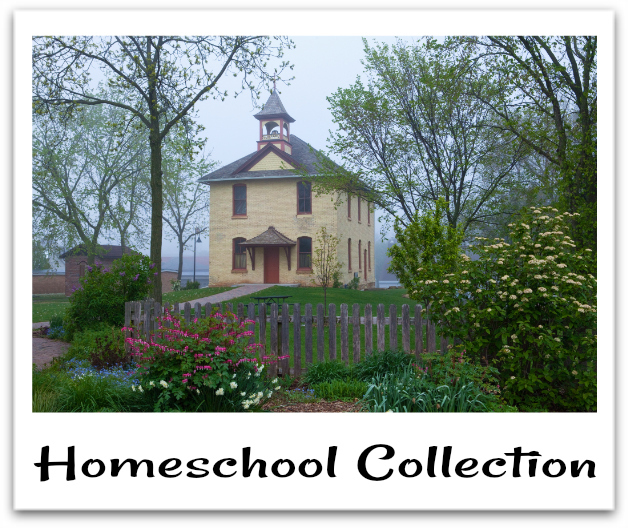 You can find me linked up here, stop by and check out all the homeschool posts in this collection! Oh my, I want to go to school there for a week and I’m 46! That sounds like a marvelous experience. 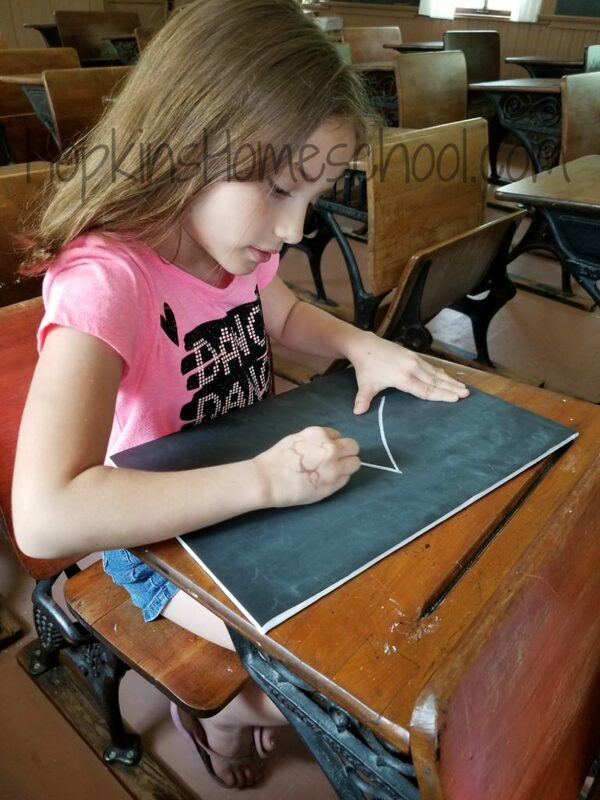 I always wanted to remodel and live in a one room school house. My husband teases me that I should be able to keep our homeschool to one room if that was the case.